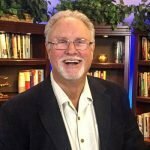 John Anderson is a skilled Kingdom Administrator, delivering results for over 40 years in large organizations, start-up companies, churches, schools, and non-profit foundations. His education includes degrees in Physics and Business Administration, with additional studies in biology, chemistry, nuclear engineering, management, marketing, information technology, and strategy. His executive leadership spans education, marketing, sales, finance, information technology, manufacturing, quality management and operations. He has served successfully as CIO, CFO, CQO, COO, CEO and also as a Director of many organizations. His teams have won broad recognition for achievement of breakthrough results in spend reduction, sales growth, project completion, and quality leadership. His businesses span energy, retail, telecommunications, forest products, automotive logistics, electronic commerce, homeland defense, and biotechnology. John has also failed dramatically and has taken full responsibility for the impact of those failures. Presently, he serves as Executive Chairman of the GDP Group SPC, and as a director of Kingdom Congressional International Alliance, Indigenous Peoples Foundation, and the Global Communities Institute. He is a member of Who’s Who in US Executives, Who’s Who in Information Technology, and Lexington’s Who’s Who. John lives in Gig Harbor Washington with Mary Roe, his wife of 38 years. Together they have two sons and two granddaughters.